The real work for the 751 newly elected MEPs will soon begin. In parliament, politicians who were elected with hundreds of thousands of preferential votes, will sit next to colleagues who received fewer than a thousand votes. Sophie in 't Veld is Europe’s most popular MEP. In the May European elections, she received 568,185 preferential votes. In 't Veld was top of the list of the winning Dutch party D66. In 't Veld, 50, is a euro-politician to the core. She has never been involved in national Dutch politics and has lived in Brussels ("a lovely city") for 20 years. On the Dutch ballot-papers, Brussels was even listed as her official place of residence. "Some colleagues live in Brussels and just have their post address in the Netherlands", in 't Veld says. "That's rubbish. I spend more time travelling than at home in Brussels. But I'm mostly available and accessible. Distance is a very relative concept." 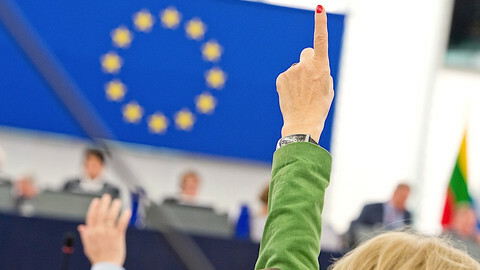 In the top 10 MEPs with most preferential votes, Sophie in 't Veld and Guy Verhofstadt (2), both members of the liberal Alde group, are joined by outspoken critics of the European Union. More than 20 percent of Danish voters voted for local right-wing politician Morten Messerschmidt (3). The Greek communist Manolis Glezos (4) and Dutch populist Geert Wilders (9), who eventually did not take up his seat in the European Parliament, scored well too. But in 't Veld doubts that her own high score guarantees more influence in the European Parliament. "My Italian colleagues probably don’t know how many preference votes I got," she says. "But they do know that my party scored well, and that I was head of the party’s list. In 2004, I was the only MEP for D66 in the European Parliament. In 2009 we obtained two additional seats, last May we won our fourth seat. You build a reputation by winning elections." 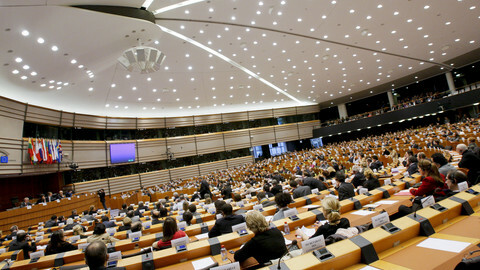 Nevertheless, popular politicians from smaller countries often miss important posts in the European Parliament. In July, the chairs of 16 out of 20 standing committees in the parliament were elected. Twelve chairs represent one of the four largest member states: Germany (4), France (2), the UK (3) and Italy (3). “It’d be better for you to be a completely unknown politician in the German SPD than a famous one in a small party " notes Steven Van Hecke, a political scientist at the university of Leuven. Sophie in 't Veld is acquainted with the fragile relationship between MEPs from small and large countries. 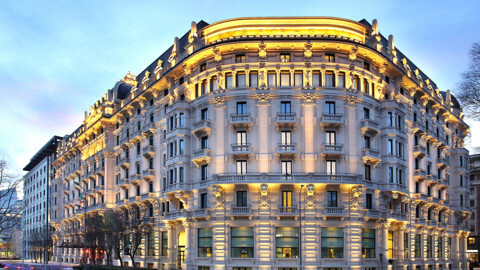 "During the previous legislature, the liberal group housed two big delegations. Both the British Liberal Democrats and the German FDP held 12 MEPs, although D66 had scored as well as the FDP in 2009 [11%]. But, unfortunately, we came from a smaller country. In 2014 the British and German liberals were decimated while the liberals in the Netherlands and France won. As a result, the liberal group has been reduced and fewer big delegations remain. That has led to less dominance within our fraction, and people have clearly noticed that we won the elections. That is more important than the number of preference votes." But Van Hecke argues that personal scores play a role in the European political sphere. "The liberal MEPs surely know that Guy Verhofstadt had a good result in Belgium. 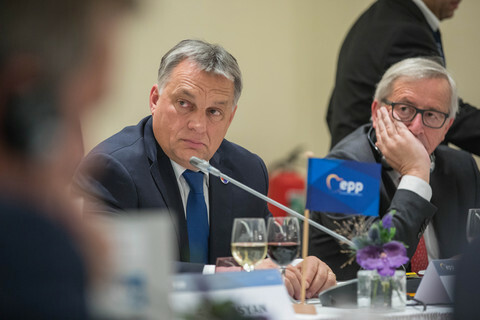 If Verhofstadt had lost the elections, he would not have been the liberal leader anymore." A comparison of the European election results makes clear that the electoral systems in different EU member states vary considerably. About half of the 751 MEPs are not elected on the basis of preferential votes. 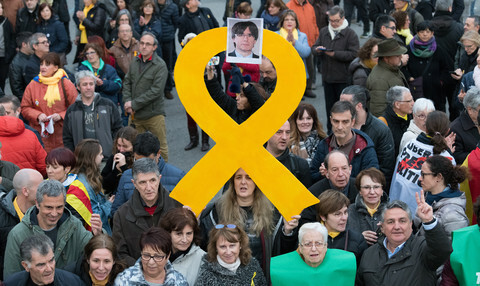 Most of the larger member states (Germany, France, the United Kingdom, Spain, Romania, Portugal and Hungary) have closed electoral systems: voters cannot give preference votes and the order of elected politicians is fixed in advance. Italy is the only major European country with a preferential voting system, though the country is divided into five smaller constituencies. Thus the Netherlands constitutes the largest electoral district where politicians can collect personal votes: five Dutch politicians are listed in the top 10 of the most popular MEPs. Major differences exist between countries with a preferential voting system. Austrians can only give a personal vote to one candidate of a single party. Barbara Kappel, member of the far-right FPOe, is the only MEP who was elected with fewer than 1,000 preference votes. In Luxembourg, voters can give six votes to individual candidates, even if they run on different lists. No fewer than 125,000 out of 225,000 voters supported outgoing European Commissioner Viviane Reding in this way. Latvians who support a certain politician, put a plus sign on the ballot next to the name of that politician. The names of unpopular candidates can be crossed out. This system sometimes has a strange outcome. For example, Latvian candidate Peteris Vinkelis obtained nearly 5,000 plus signs in May, and at the same time 28,700 negative votes. "Most politicians on our list got almost 23,000 negative votes", Vinkelis explains. "Apparently, many voters strikethrough most names on the list." Vinkelis, assistant to Latvian MEP Sandra Kalniete (EPP), has a certain surname disadvantage as well. His sister-in-law, former minister of welfare Ilzes Vinkeles, became very unpopular among the Latvian population by increasing the retirement age. "It took the member states about forty years to agree on a uniform electoral system that could be used to elect MEPs in all Member States," professor Van Hecke explains. 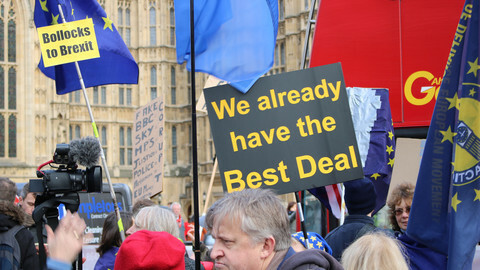 "The Treaty of Amsterdam in 1997 stated that the electoral system should be a form of proportional representation: a major concession for the United Kingdom and France. But other member states also don’t want to harmonise different electoral systems further. Otherwise, Brussels would decide on such issues as the electoral threshold and the male-female ratio on the list, and member states would lose control over the electoral process." There is still a long way to go to a single European electoral system. However, the distribution of seats in the parliament protect small countries very well. For example, Germany holds 96 seats in the parliament, or one seat for more than half a million Germans. In the meantime, a Luxembourg MEP, only represents 50,000 people, ten times fewer. "Such differences frustrate MEPs from large countries much more," Van Hecke notes. The system has worked well for Austria's Barbara Kappel. 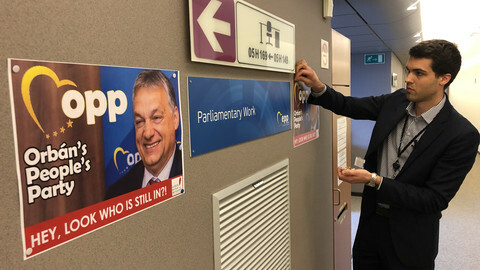 After several years as an unknown local member of parliament in Vienna, Kappel, 49, suddenly moved to the European Parliament. "The decade-long, outstanding political work of Dr. Kappel is well known and appreciated across all party boundaries and has been rewarded by the Austrian electorate with a mandate in Brussels, " Kappel’s assistant writes. That’s thanks to her 918 voters, 600 times less than Sophie in 't Veld. Full list of MEPs and their votes. 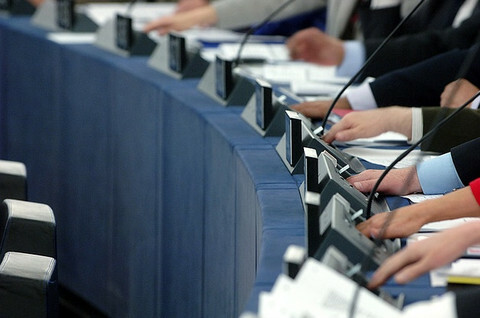 After electing a new(ish) President and most of their administrative posts, MEPs will return to Brussels next week to complete unfinished election business – the chairperson positions of the Parliament’s 20 standing committees. 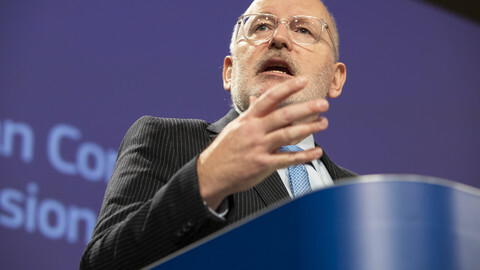 The European Parliament is preparing a set of "obstacle course" hearings for incoming EU commissioners with recent past form showing that at least one of the designates will fall by the wayside.